Experienced local government executive Therese Manns has been appointed as Randwick City Council’s new General Manager, Mayor Lindsay Shurey announced on Wednesday 26 September 2018. 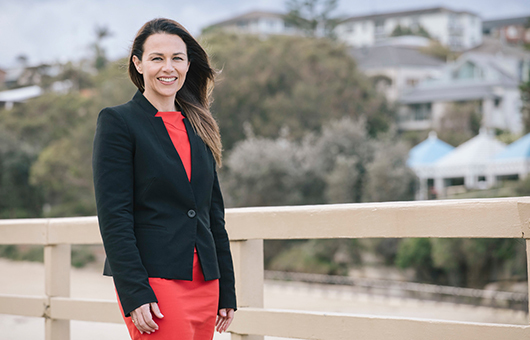 Ms Manns will replace Randwick’s outgoing and highly regarded General Manager Ray Brownlee PSM who is leaving the Council at the end of this week to take up the role of CEO at Northern Beaches Council. Mayor Shurey said Therese was a stand-out candidate and the ideal person to lead the Council. Ms Manns has previously held the position of General Manager at Broken Hill City Council and Boorowa Council. She is currently the Director of Corporate Services for Sutherland Shire Council. “She is well regarded in local government as a dynamic and charismatic leader with a strong focus on technology and innovation. She has proven people skills and the ability to work with stakeholders at all levels,” Mayor Shurey said. Ms Manns said she was privileged to be given the opportunity at Randwick Council. “Randwick has and continues to be a leader and influencer in the local government sector,” Therese Manns said. “The sense of community created, underpinned by strong values, is a credit to both community and organisational leadership over many years. I hold high regard and respect for the way Randwick has been managed to date and look forward to meeting the staff and community,” she said. Ms Manns is expected to take up the position in November 2018.